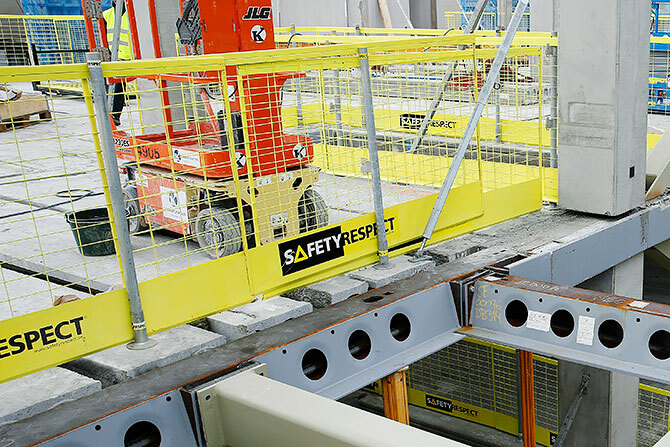 When installing prefabricated concrete slabs a movable edge protection is required for safe blockage for other construction personnel. 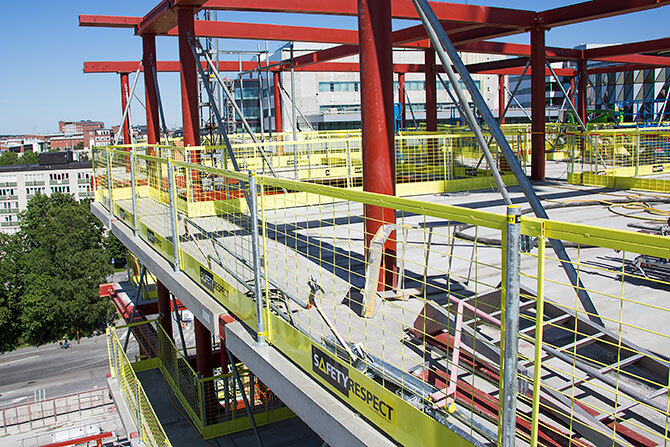 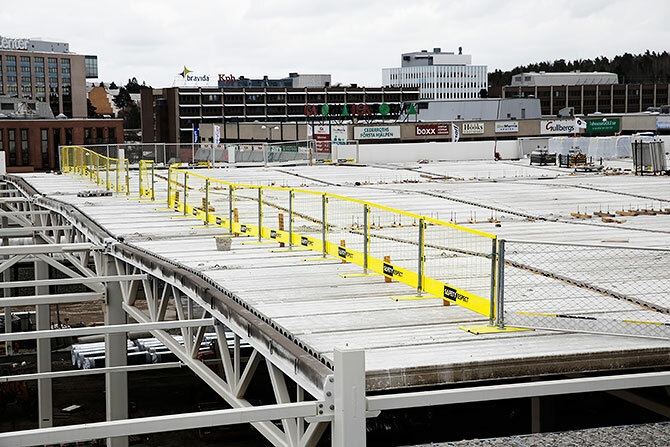 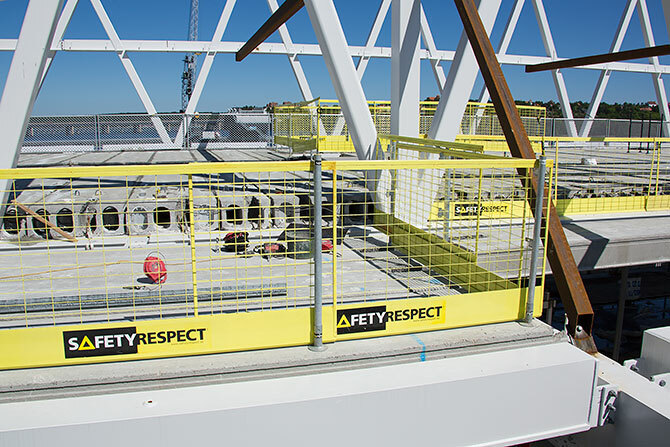 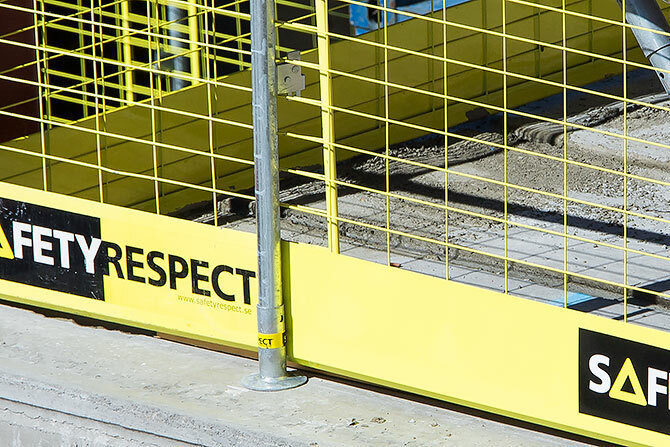 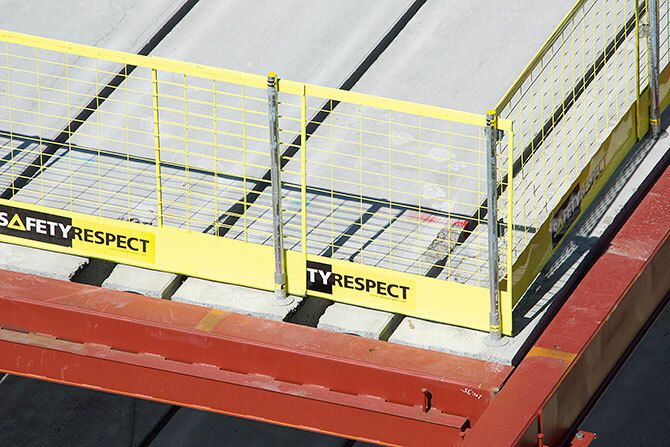 For this the Ground Support Plate is used together with Socket base, Post 1,3 m and Barrier 2,6 L. The Barriers then work as effective and safe blockage while the installation of prefabricated concrete slabs is carried out by workers with personal protection equipment. 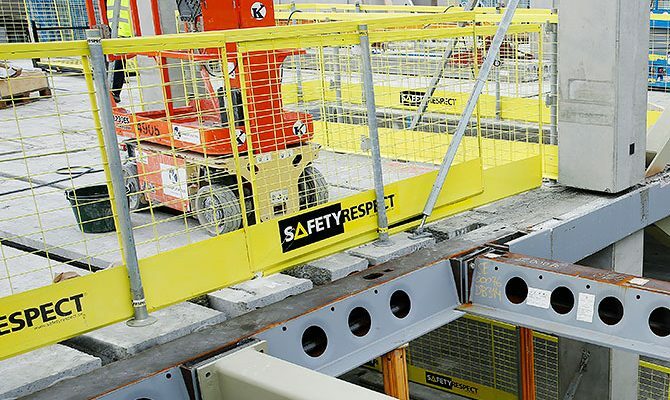 When prefabricated concrete slabs are used in building constructions Socket base is usually installed at the slab edge for attachment of edge protection. 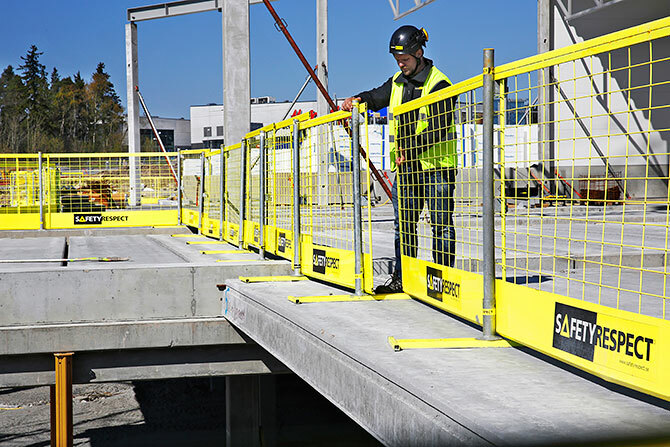 In the Socket base Post 1,3 m is installed and thereafter Barrier 2,6 L. The Barrier can be raised in one simple operation on the post up to a height of 310 mm above the floor structure, without decreased safety. 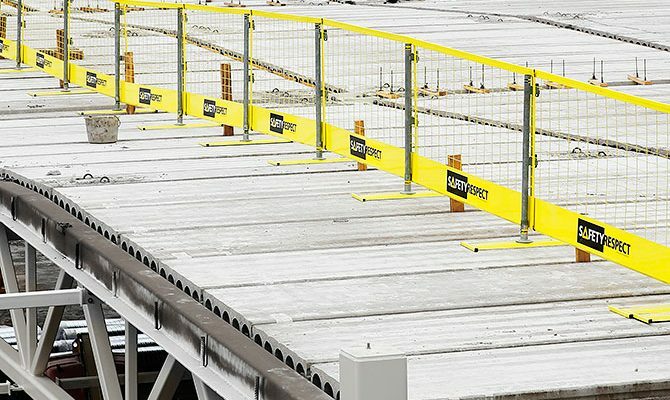 This creates conditions for joint grouting, casting and other common work tasks without any need of uninstalling the edge protection. 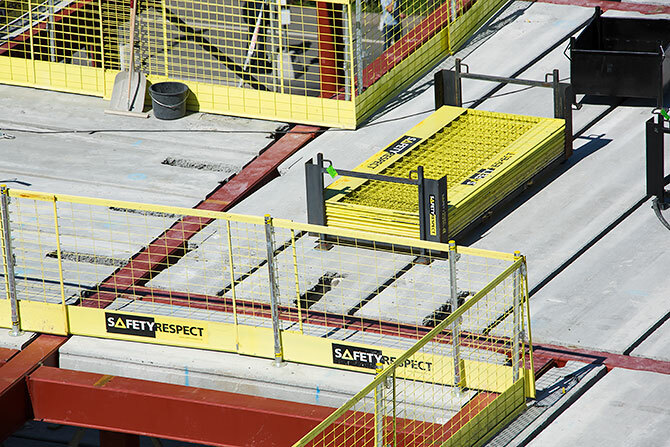 Slab edges are present everywhere and are a usual cause of fall accidents. 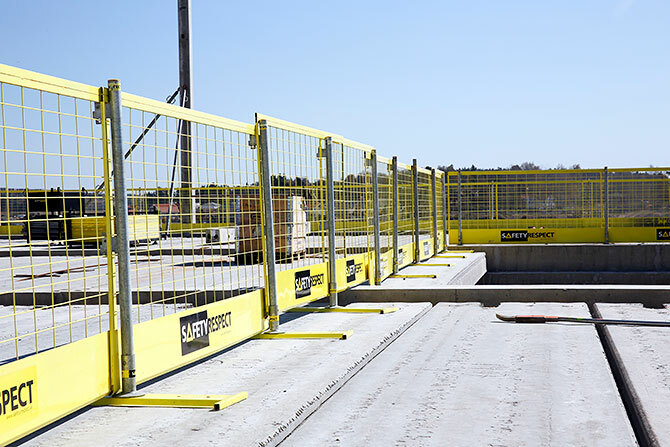 Edge protection can be installed on the slab or on the outside of the slab edge. 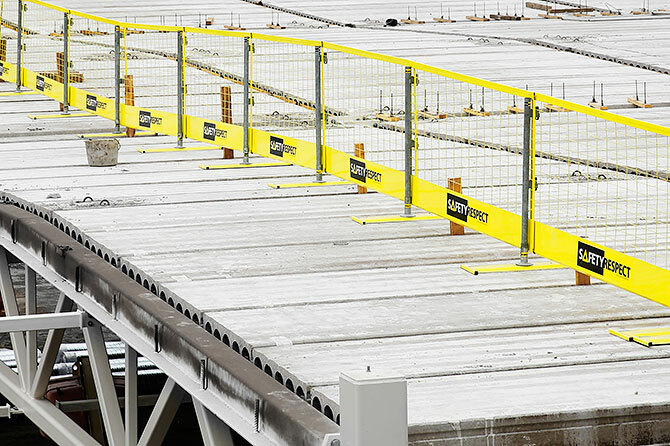 If there are columns, they can be an alternative attachment of the edge protection. 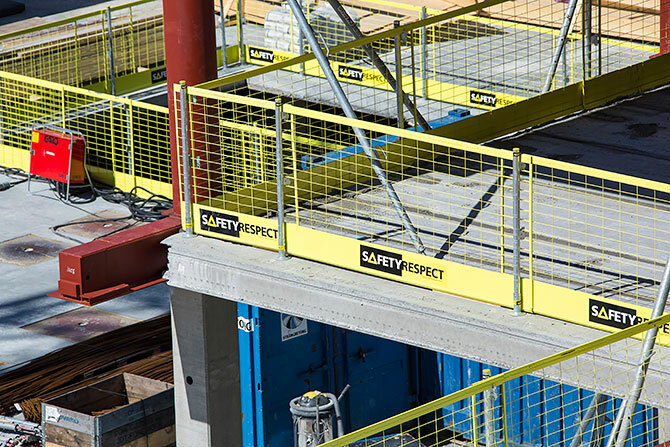 Please see solutions for columns/beams. 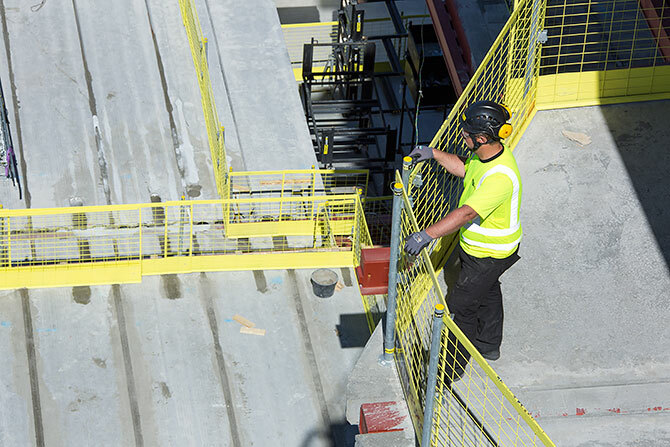 Our solution can be installed on all types of material and they are very fast and flexible as, for example, when walls are to be installed. 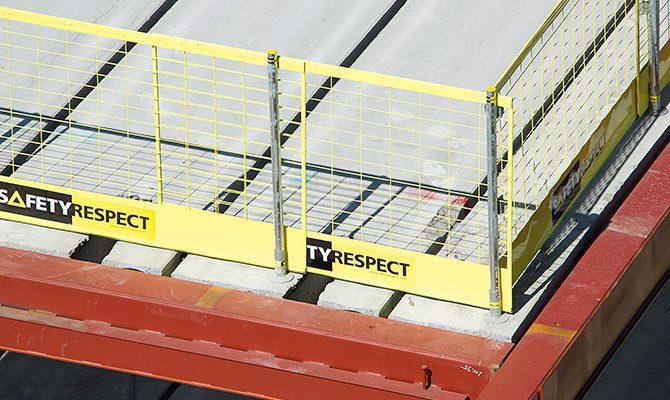 When the Barrier is in its lowest position it seals against the slab, and it can easily be raised on the post for various kinds of work at the slab edge. 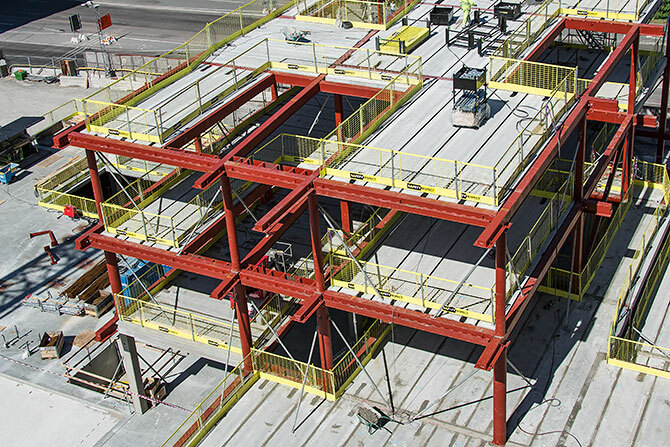 Please see also our solutions for prefabricated materials.